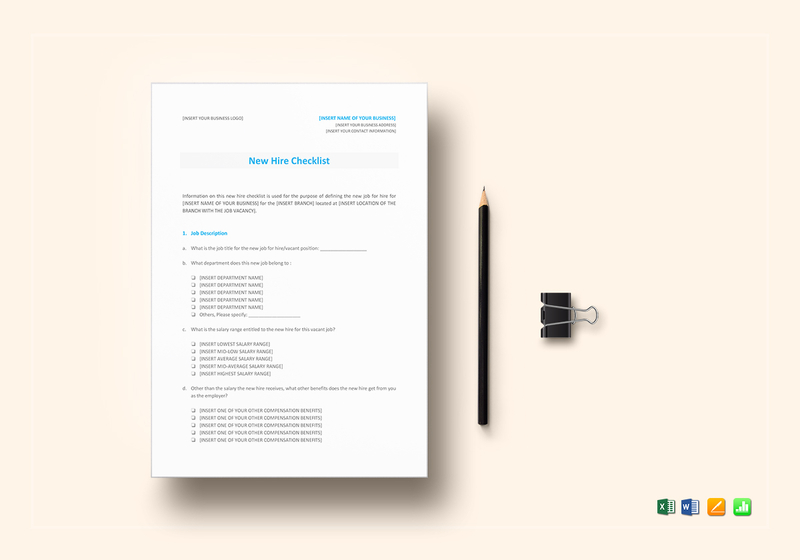 Get this New Hire Checklist Template and make experts out of new hires. 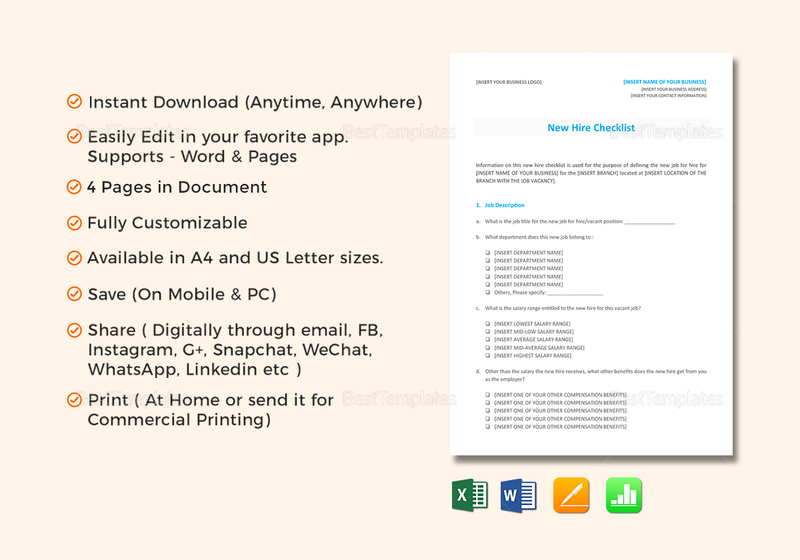 This 4-page document comes with standard business fonts in A4 and US letter sizes. Open and edit using your choice of software program or application supporting MS Word, MS Excel, Pages, or Numbers file formats. Share digitally thru email or your favorite social media apps..